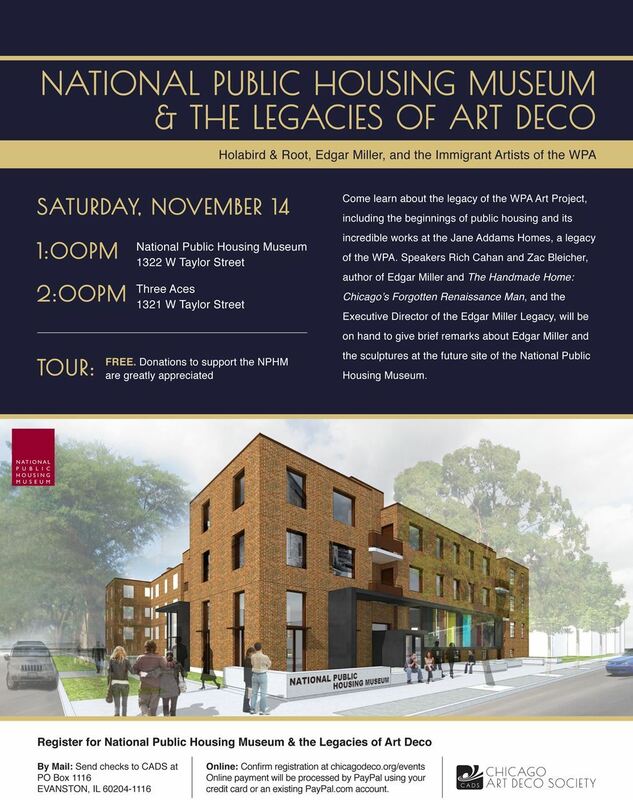 Come learn about the legacy of the WPA Art Project, including the beginnings of public housing and its incredible works at the Jane Addams Homes, a legacy of the WPA. Speakers Rich Cahan and Zac Bleicher, author of Edgar Miller and The Handmade Home: Chicago’s Forgotten Renaissance Man, and the Executive Director of the Edgar Miller Legacy, will be on hand to give brief remarks about Edgar Miller and the sculptures at the future site of the National Public Housing Museum. Appetizers generously provided to attendees by NPHM.